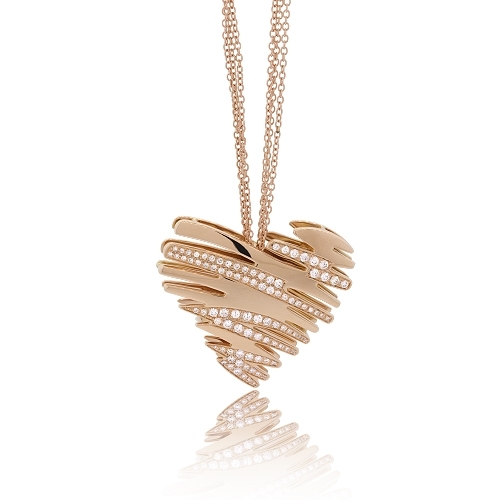 18k rose gold heart pendant with diamond zigzag accents. Diamonds approx. .75ct. Chain 15.5"